Om September 28 – October 3, 2017 the student of the Institute of Physical Culture and Health Andriy Fehetsyn, trained by the wushu coach from of the Department of Physical Education Oksana Sotrykhina, took part in the World Championship of Wushu (Kazan, Russia) as a member of the national team of Ukraine. More than 900 athletes from 60 countries participated in this representative forum. In the “Programm Duel” section, along with two Ukrainian athletes, Roman Reva and Artem Swong (Brovary), our student took the honorary third place on the podium and became the bronze medalist of the World Championship, giving way only to athletes from Iran and Korea. 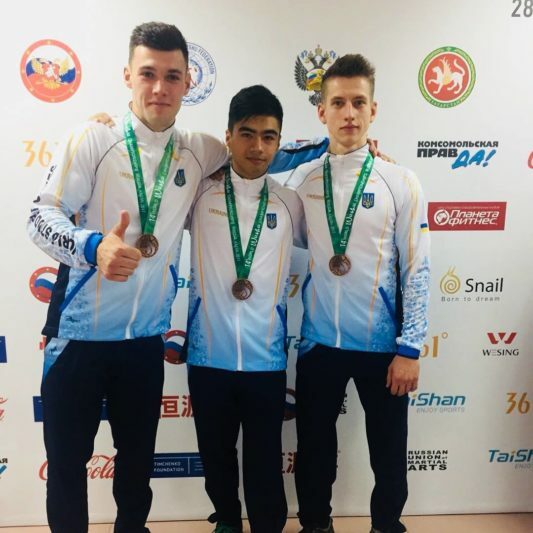 The prerequisite for Andriy Fehetsyn’s successful performance was a tumultuous three-month training and a successful performance at the XXIX World Summer Student Games in August this year in Taipei, Taiwan. 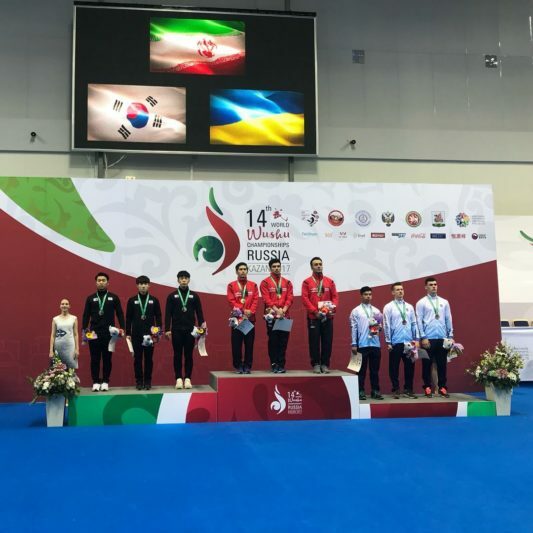 We congratulate our student and his coach and wish them further successes!